Author Mary Robinson was the first woman president of Ireland, serving from 1990 to 1997; afterward, she served as United Nations High Commissioner for Human Rights from 1997 to 2002. She was also an honorary president of the global development charity Oxfam. 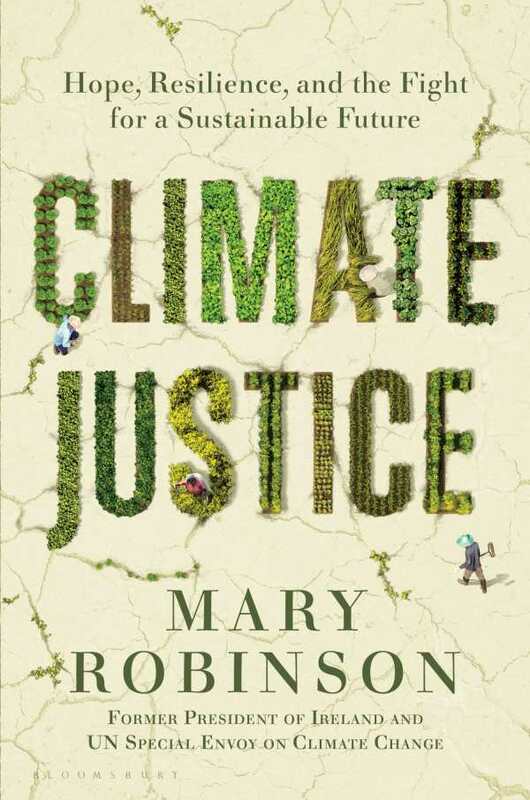 In November of 2016, Robinson was in Marrakech for UN climate change talks; Donald Trump’s election seemed like proof that America was retreating into apathy about the environment. She was determined to “forge ahead, with or without the United States,” and in Climate Justice she and journalist Caitríona Palmer profile admirable individuals who are coping with climate disasters in vulnerable areas and pointing the way to a sustainable future. These include women like Vu Thi Hien, who works on forest preservation in Vietnam, and Australian skincare entrepreneur Natalie Isaacs, who tackles plastic waste. After Hurricane Katrina, Sharon Hanshaw of Biloxi, Mississippi, became an “accidental activist,” founding Coastal Women for Change to draw attention to the unfairness of how low-income survivors were treated.